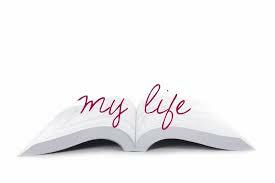 When you are an open book type of a person, you lay out your whole life for everyone to see. You have no qualms in sharing, and sometimes over-sharing, you keep nothing from anyone, and you are unable to fathom why people aren’t as open as you are. You mostly wear your emotions on your sleeve, and you’re probably very easy to talk to because you don’t have trust issues. You could have chapters in your book, despite being open, that you don’t read out aloud, and you may have chapters that you want to skip or feel aren’t worth reading, but you are still an open book. This doesn’t mean that people who find it hard to open up to others easily have something wrong with them. It takes all sorts to make this world go around. Just because someone isn’t laughing and joking with you from the first meeting, it doesn’t mean they’re standoffish or have an attitude problem. I often ponder over how people react towards me. I take it in stride that I’m not supposed to be affable and neither are they. Sometimes the vibe they give out, and your gut instinct is usually a good indicator of how you feel, is a good indicator. Keep away from that which serves you no purpose. If someone’s vibe doesn’t gel with yours, don’t stress about it. Just walk away and move on. If people don’t want to acknowledge you or make you a part of their life, there is nothing you can do about it. Respect their choices, and respect yourself enough to walk away and be around the people who actually do care for you. Life is too short to stress over small things like that. Spend your energies on more positive things. The problem isn’t you. The problem is the demons they have inside themselves. Let them be. I once read something that I have to force myself to remember every once in a while. 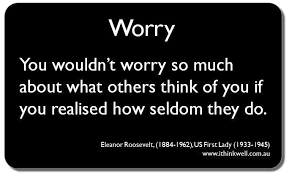 Don’t bother too much about what people think of you. They’re too busy thinking about themselves to care about your thoughts. Next Is this really the month of love?